The inaugural regional meeting of Encouraging Women into Franchising (EWIF) has been hailed as a “huge success”. 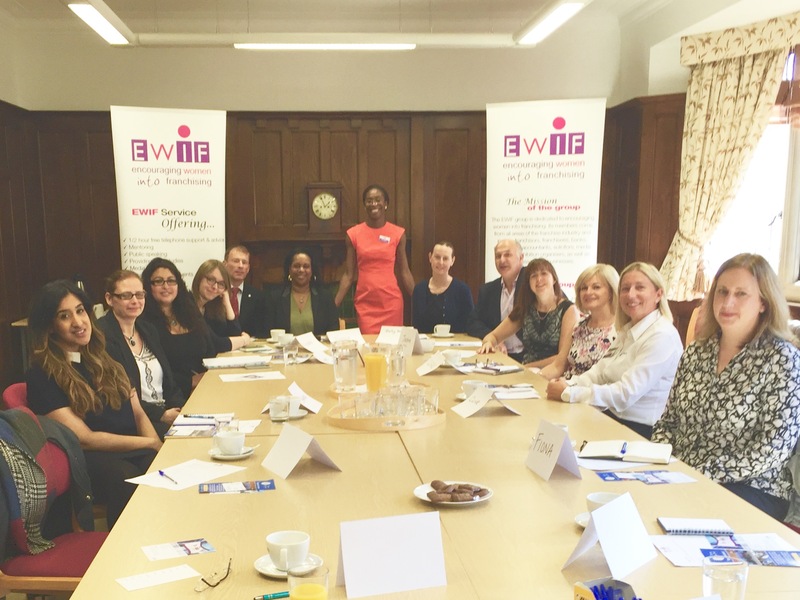 Fiona Boswell from Fraser Brown Solicitors and regional chair of EWIF Midlands hosted the meeting on 5th July. The first Midlands guest speaker was Pam Featherstone from ActionCOACH who gave a presentation on how to work ON your business and not IN it with lots of practical tips for the business women in attendance to take away and implement. EWIF regional meetings are held across the UK throughout the year to give women from every walk of life the opportunity to gather advice, information and network with like-minded business owners. The Midlands meetings mean that EWIF now has an even wider remit and business women in the area have a forum of support that they can call on when facing challenges within their businesses. Boswell said: “I was so pleased that we had such a good turn out to the first meeting in the Midlands. There’s been a huge gap in the Midlands for EWIF so it’s great to be able to provide their services for even more local business women. I hope that the meetings will become more and more popular as we continue and that the business women who attend are inspired and supported by the meetings. The Midlands is such a diverse region with so many business women and I think it’s important for them to have such a great organisation to turn to”. EWIF’s primary focus is to support women who are looking for a route into the franchise industry. Its remit is threefold; to encourage women to consider buying a franchise, to encourage business women to franchise their existing operations and to help franchisors attract more women to their networks. It is a not-for-profit organisation run entirely by volunteers, providing advice and guidance to anyone looking at trying to break into the franchise industry. Clive Sawyer, CEO of EWIF, said: “It’s great to see so many in attendance at our first Midlands regional meeting. I hope that it spells success for the future in the region. I couldn’t think of anyone better to be hosting the meetings than Fiona. Her passion and knowledge for the franchise industry and the EWIF cause really shines through and she works tirelessly to create opportunities for more women and to support them in their new business ventures whether they’re franchisees or franchisors”. The next Midlands regional meeting will take place on Tuesday November 29th.